Mumbai: Embassy Group, which recently listed India’s first Real Estate Investment Trust (REIT) along with Blackstone, is scouting for stressed hotel assets to expand its hospitality business outside Bengaluru. The company, which operates around 700 hotel rooms, with another 1,100 under development in Bengaluru, is planning to enter Mumbai, Pune, Hyderabad, Chennai, Goa and the National Capital Region (NCR) over the next three years. While the company will continue to build hotels on its own as part of its corporate parks outside Bengaluru, it is already on the lookout to acquire existing hotel assets to ramp up its portfolio, said Sartaj Singh, president (hospitality business) at Embassy Group, said in an interview. Singh said the company plans to take the number of hotel rooms to around 3,000 by 2025. While the group’s main focus has been on building commercial office space, hotels have been a core component of its business parks. Three of its hotels are part of the company’s REIT portfolio, which comprises 33 million sq. ft of commercial space. “We are seeing an upswing of the Indian hotel market in the last couple years. Supply over the last five years is contracting, while demand continues to increase. All financial parameters are showing an upswing. This has given us the confidence to take our hotel business beyond our corporate parks in Bengaluru,” Singh said. Over the last six months, the company has been conducting feasibility studies to set up a hotel in Pune. 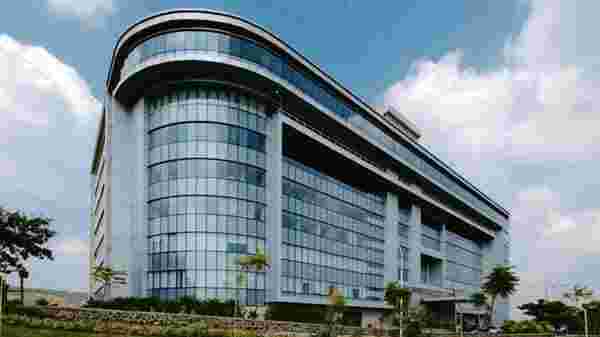 In Hyderabad and Chennai, new hotels are likely to come up as part of existing office parks. “While we will be looking at greenfield projects, we may go for straight acquisitions in Goa and the NCR. We have already shown our interest in some stressed assets and have pursued a few. We see a lot of opportunity in that space,” he added. At present, Embassy operates two hotels under the Le Meridien and Hilton brands. It is gearing up to opening Four Season luxury hotels in May. “We are seeing a lot of interest from private equity investors. However, so far we have funded mostly through our internal accruals,” Singh said. Many hospitality firms are planning to ramp up their hotel businesses, given the growing demand and improved sentiment in the hotels space. Real estate firm K. Raheja Corp.’s hospitality arm, Chalet Hotel Ltd, which had recently raised ₹1,641 crore through an IPO, is also eying distressed hotel assets, besides bringing in more hotel brands to expand its portfolio. Hyatt Hotels Corp. has also said that it will open 14 new properties over the next 24 months.